VIP HORSELESS CARRIAGES, INC. DBA: WE ARE A CORPORATION WHICH HAS BEEN IN BUSINESS OF BUYING AND SELLING CLASSIC, EXOTIC AND SPECIALTY CARS FOR THE LAST 30 YEARS. PAYMENT: WE HAVE FOUND WIRING THE FUNDS TO BE THE EASIEST AND MOST ECONOMICAL WAY TO PAY FOR A CAR. WE WILL FAX OUR WIRING INSTRUCTIONS TO YOU WHICH YOU GIVE TO YOUR BANK, IT'S THAT EASY. WE DO ACCEPT VISA OR MASTERCARD FOR DEPOSITS, OR AS PAYMENT FOR LESS EXPENSIVE PURCHASES. 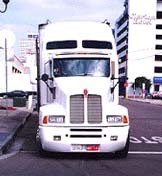 TRUCKING/SHIPPING: IS AVAILABLE AT VERY REASONABLE PRICES TO ANYWHERE IN THE WORLD. WHEN BUYING A CAR FOR EXPORT OUT OF THE STATE OF CALIFORNIA OR OUT OF THE USA, ONE PAYS NO LOCAL OR STATE SALES TAXES. TRUCKING OF A VEHICLE CAN BE ON AN OPEN CAR TRANSPORTER, OR FOR A LITTLE MORE MONEY IT CAN BE TRUCKED IN AN ENCLOSED CAR TRANSPORTER. CARS BEING SHIPPED OUT OF THE USA ARE USUALLY PACKED INTO CONTAINERS AND SECURED IN WOODEN FRAMES TO MINIMIZE THE POSSIBILITY OF DAMAGE. THE AVERAGE PRICE OF SHIPPING A CAR TO EUROPE IS APPROXIMATELY $800. THE PRICE INCLUDES ALL COSTS FROM OUR SHOWROOM TO THE PORT OF CHOICE. INSURANCE IS AVAILABLE AT 1.5% OF THE VALUE OF THE CAR. SHIPPING AND INSURANCE COSTS CAN BE PAID WHEN THE VEHICLE ARRIVES IN YOUR PORT, OR YOU MAY PAY US AT THE SAME TIME YOU PAY FOR THE VEHICLE AND WE WILL PAY THE SHIPPING COMPANY. SHIPPING TIME TO EUROPE IS APPROXIMATELY 4-5 WEEKS INCLUDING TIME FOR PACKING, LOADING AND UNLOADING.